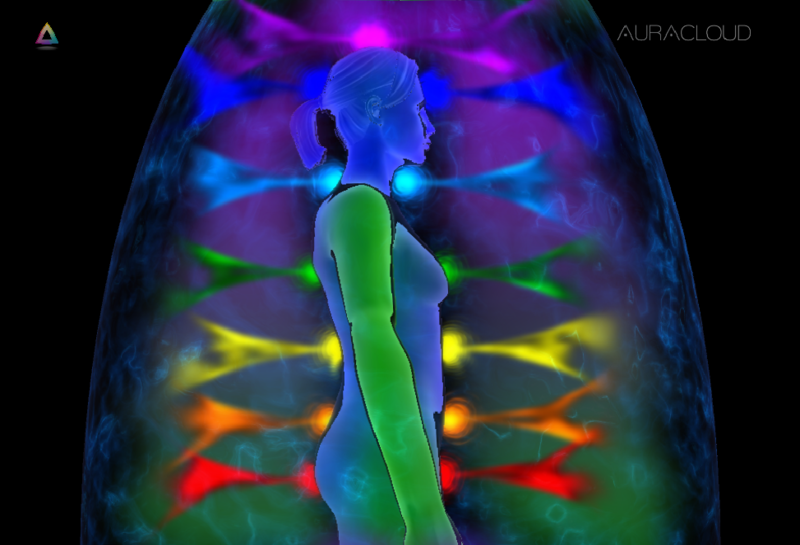 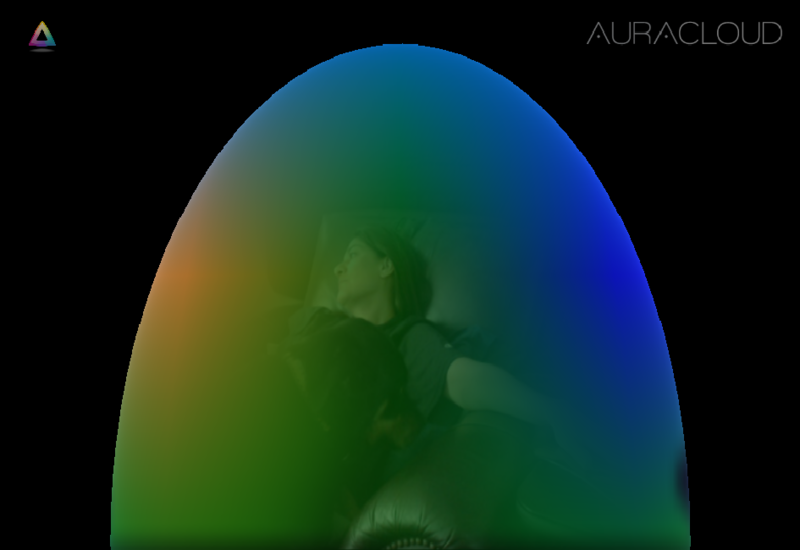 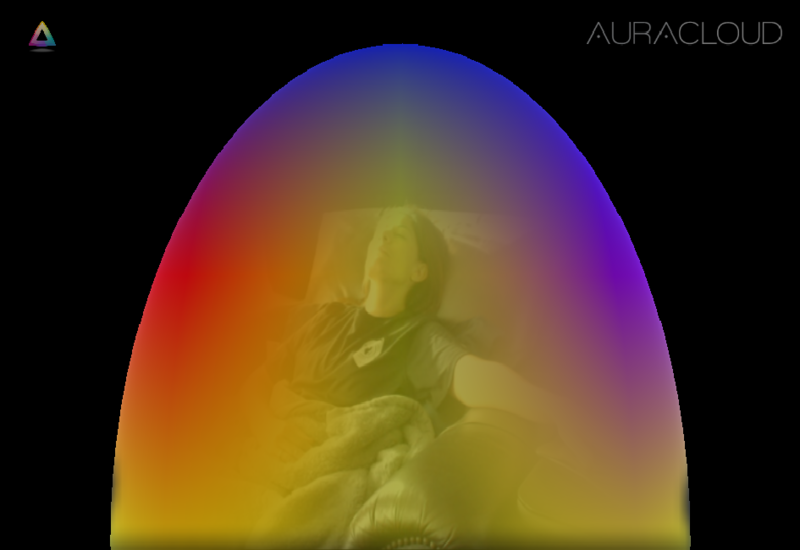 Aura photo during an energy healing session showing a beam of light directly to the crown chakra. 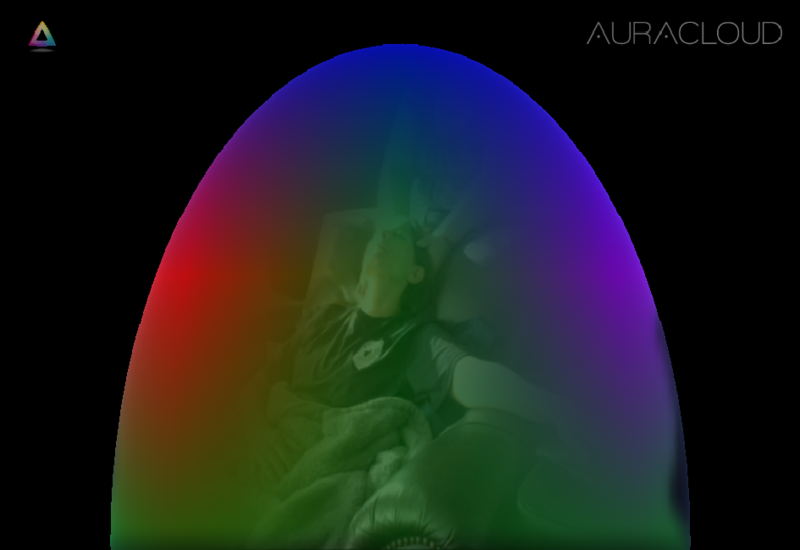 Aura photo during the same energy healing session. 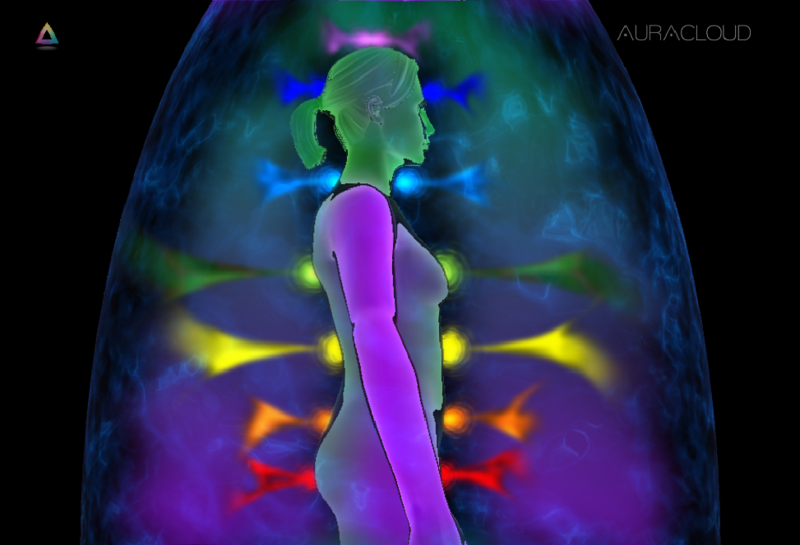 Ronin the Rottweiler bringing some love (pink energy) and healing (green energy) to the session.